I got started feeding birds in my childhood. 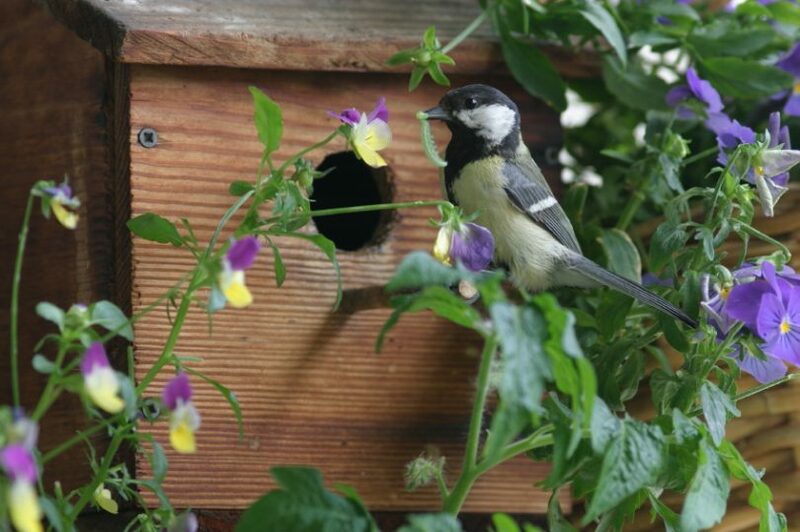 My mother fed birds and would excitedly call us to the feeder to see the latest “bird of the day.” Years of this exposure led me down the bird-feeding path and when I got married and moved into our first house, I put up my first feeder. I can still remember that first feeder; it was a very poor choice, but I was so proud of it! I work hard to attract birds to my yard since I am an avid birdwatcher. Every new bush and tree I plant is berry producing. I have enclosed the yard with a deer fence to encourage some tangled-growth areas where catbirds and other species can nest. I don’t use pesticides. There is more than one birdbath in the yard, and in the winter I use heaters in them so open water is available to the birds during freezes. I also make sure I have a variety of feeder types and seed in order to attract the most species—tubes, platforms, hopper feeders, a mealworm feeder and, of course, suet. There are many suet feeders around the yard, which brings in wonderful species you might not expect to see eating from a feeder. In summer, a family of summer tanagers, plus others who use the suet, entertains me and, in winter, a brown creeper comes to the suet mounted on a tree. The most fun is watching the parents use the suet as a McDonald’s-style fast food stop when they take back chunks of it to the nests to feed their young. Then watching the newly fledged babies try to feed themselves from the suet feeders the first few days they are out of the nest is total joy. They really are so uncoordinated at first. There is no one memorable bird feeding moment, I am sorry to say. There are many. The first year when I had over four-dozen hummingbirds at my feeders was amazing. Then there was the first male summer tanager at the suet feeder, watching my red bellied woodpecker take on the male eastern bluebird at the mealworm feeder (the bluebird won), and the prairie warbler who came to the birdbath. How to choose? I just enjoy. To all who enjoy this hobby, I encourage different feeder types and a variety of seeds, including some without shells. Not all birds can crack open seed shells and putting out sunflower hearts can really bring different birds to the feeders. Shelled peanuts and suet are enjoyed by many. Sit back with a cup of coffee or tea and enjoy the beginning of each day watching the activity in your yard. This is how my day starts and I wouldn’t have it any other way. Cynthia Fox owned the Wild Bird Center in Chapel Hill for 15 years and has been an active birdwatcher for close to 40 years.